Hard work is paying off at the high-speed rail project sites in the Central Valley. 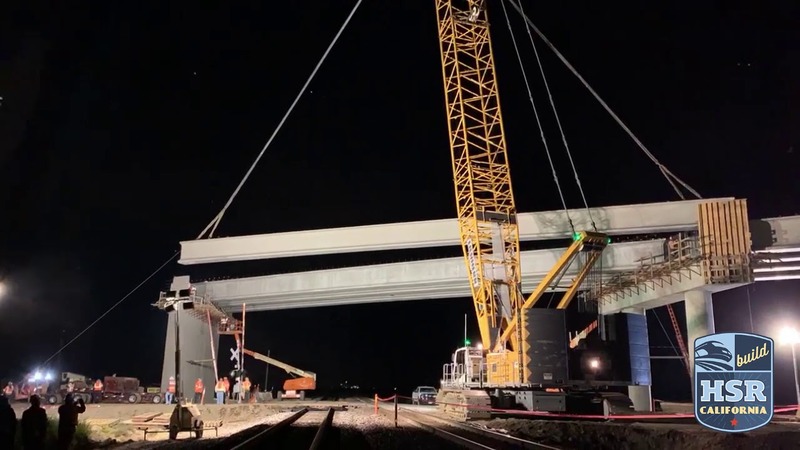 Two spans of girders were set over a couple of days at the end of March, with girders set over the railroad at night in coordination with BNSF railroad. The 35-foot tall, two-span structure will take traffic over the future high-speed train and the existing BNSF freight rail alignment. 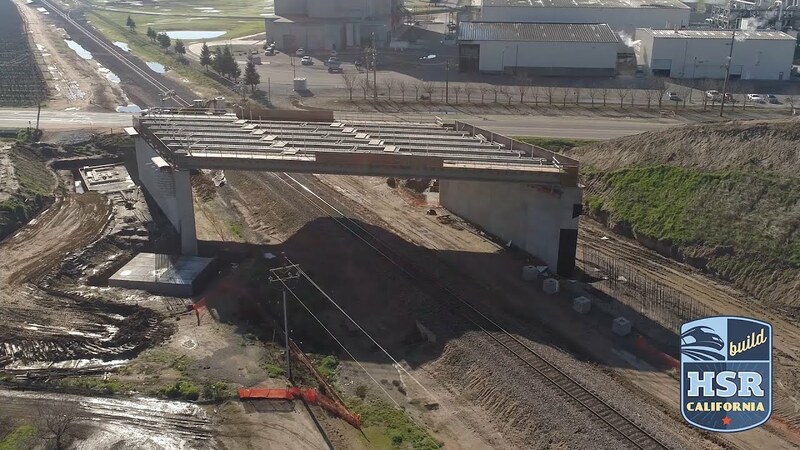 Drone video from December of 2018 and January of 2019 from six construction projects of the California High-Speed Rail project. Incredible progress continues to be made at the active construction sites for high-speed rail, with two projects nearing completion. Select each of the project images below to learn more.